DHS Hiring 10,000 ICE Agents As 950,000 Illegals With Deportation Orders Remain in U.S. The Department of Homeland Security has authorized the hiring of 10,000 additional ICE agents to help with enforcement and removal of illegal aliens according to a report from Breitbart. The move to hire additional ICE agents was announced in a memo from Department of Homeland Security Secretary John F. Kelly. 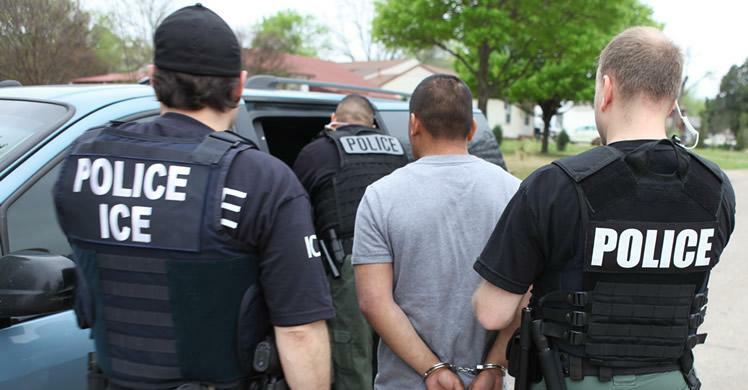 The announcement to hire 10,000 additional ICE agents comes as a report was released by the Washington Examiner on Monday showing that nearly 950,000 illegals remain inside the U.S. with deportation orders. Responses to questions from the Senate Judiciary Committee, provided by Thomas D. Homan, currently the acting ICE director, revealed the struggle the agency faces as it moves to deport illegals, many with criminal records and slapped with “final orders of removal” after exhausting their court appeals. He said that ICE has custody of just 11,006, or 1 percent, of the 950,062 ordered deported.